“Holy mackerel!” bawls filmmaker Brian De Palma repeatedly when discussing both the films that influenced him as a director and the reaction many people had to his own movies. De Palma is a highly engaging and insightful documentary from directors Noah Baumbach and Jake Paltrow, and consists mainly of one long interview with the man himself in which De Palma chronologically guides us on a retrospective journey behind-the-scenes of his own career, including both the highs (Carrie, Scarface, The Untouchables, Carlito’s Way, Mission Impossible) and the lows (Obsession, The Fury, Body Double, The Bonfire of the Vanities, Mission to Mars). At times extremely honest, De Palma reveals what his cinematic influences and intentions were at the time, the struggles he often endured whilst making his films, and the critical and box office reaction they ultimately faced. He explains the reasoning for his love of split-screen and is unashamedly open in his admiration for the films of Alfred Hitchcock and their influence on him – in fact, De Palma even goes so far as to say that no other filmmaker has embraced the style of Hitchcock as much as himself. There’s a genuine love of cinema throughout; and it is evident that both Baumbach and Paltrow are fans of De Palma, for the documentary is less a critical assessment of each film but more a tribute to a filmmaker whose work many have argued is often misunderstood. De Palma offers a singular voice: that of the filmmaker himself. Yet it remains fascinating throughout as we share in the thought process of perhaps America’s most underrated cinematic auteur. 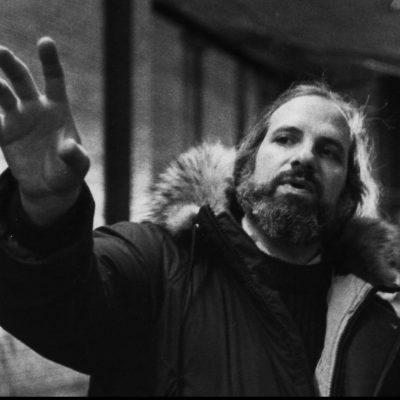 If anything, the documentary offers plentiful reasons for film lovers to go back and reassess the filmography of Brian De Palma, who, alongside his contemporaries Francis Ford Coppola, Martin Scorsese, Steven Spielberg and George Lucas, undoubtedly changed the face of American cinema. A personal and honest account, De Palma is compulsory viewing for any film student or inspiring filmmaker, and, together with Kent Jones’ wonderful 2015 documentary Hitchcock/Truffaut, offers an informative insight into the mind and world of a Hollywood film director.